Does anyone in the UK know of, or have any experience of jubilee bracelet refurbishment and tightening? I have an old 1970s 1603 on its original jubilee, which is really rather flexible now and in dire need of tightening (less so polishing, not keen for that). 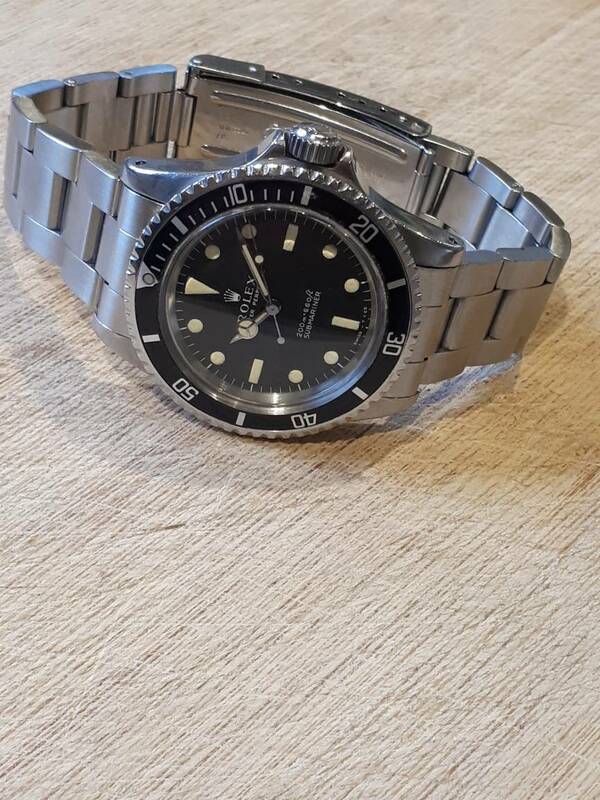 I was recommended thewatchdealer.co.uk, but the communication thus far as been patchy. Does anyone know of anyone else in the UK who can provide this service? Michael Young, sadly not in the UK but the best in the business. You need to persevere with watchdealer - the job is comparable IMO to Michael Young having used both. And, to be honest, Michael Young can be a bit patchy. I'll be sending my bracelet off to Seth tomorrow.. fingers crossed all goes well! Ill post some before/after pics! I got my jubilee back from thewatchdealer this morning. I have to say I've been massively impressed with the service. The communication, although started patchily really improved once he received my bracelet. It looks fantastic now and it only took 5 weeks to the day. I'll post some pics once i fit it back on later! How long does his service take bud seen his work looks ace ! Let's hope this bracelet refurb is less controversial than yesterday's. The only downside now is the wristhair-grabbing! Looks good, as said Micheal Young is patchy now. A friend who owns a jewellers just had five bracelets back and all of them are to be returned. Quality of polish was not great, marks were left on the sides of links and not removed from pushing the links back together. 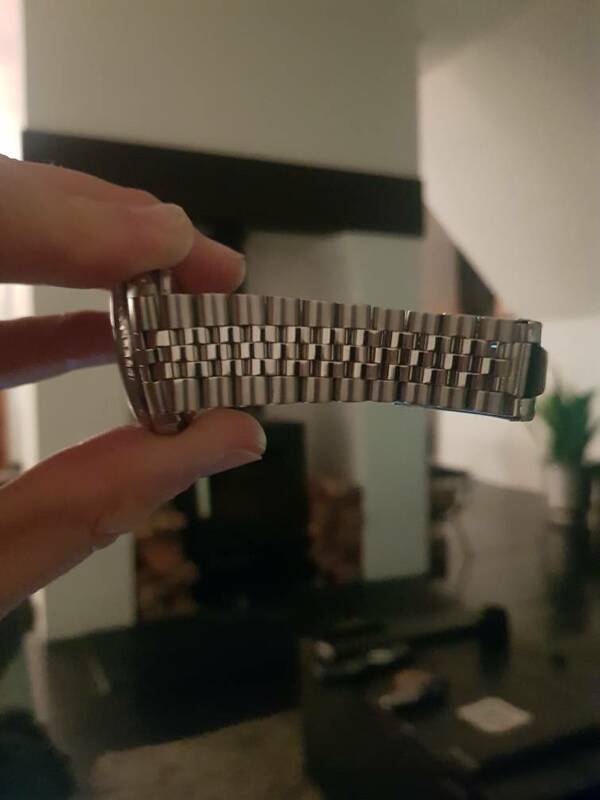 One bracelet was polished wrongly and not as from Rolex, bracelets that were charged for laser welding were not welded. A folded link bracelet showed tools marks on the rear from closing the links etc etc. My friend was 50/50 if he wanted to return them to Hong Kong it was so badly done. I've a bracelet with Michael Young at the moment. Have used Seth in past but discouraged this time as I believed waiting times were now up to 12 months - a wrong assumption it seems. Will report back once bracelet is returned from HK. Yeah Seth was 5 weeks almost to the date. I posted it on 7th January and received the finished bracelet back yesterday! Cannot recommend enough! Does he only work on jubilees? Or does he work on oyster bracelets as well? He even did a UG bracelet for me. Just checked Michael young on Instagram have to say some of his work looks unreal not sure about pricing mind you ..